We install utilities underground by way of: Directional Drilling, Stitch Boring, Trenching, Plowing, Open Trench Excavation. Some of the utilities & lines we have installed: Electric, Gas, Phone, TV, Cable, Sewer, Water. Set your next construction project on track for success by calling the experienced professionals at Fermanagh Corp Underground Construction. Since 1994, we have provided directional drilling, stitch boring, and other services in order to lay gas lines, cable lines, sewage pipes, and more. We have established ourselves as the name to trust when it comes to excavation services in Chester Springs, PA. Call us for an estimate on your upcoming project. 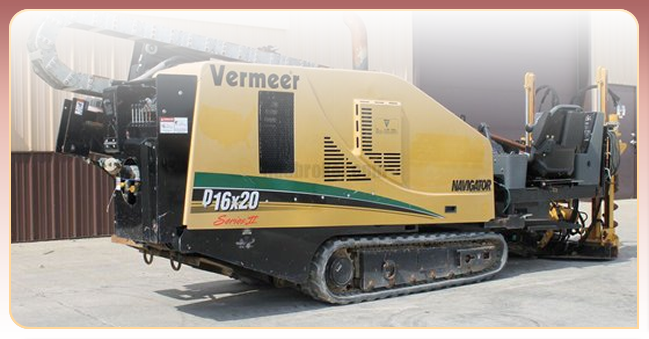 Our team has the expertise and heavy-duty equipment to do the job right. Utilities installation is a demanding and laborious job that requires professional attention and planning. To prevent avoidable delays and expenses, count on our company to produce the outcome your project needs. Helping you accomplish your goals is a responsibility that we take very seriously. Our team is dedicated to completing your project’s excavation quickly and correctly. We understand the importance of getting every job done on time and within budget. Your time and money are crucial factors in successfully achieving your project’s goals. As your excavation service, you can expect nothing less than excellence in the results we produce. Leave the job to us when it’s time to install utilities. We’ll develop a cost-effective strategy and detailed project timeline. Experience the attention to detail that separates us from other contractors in the area. Our methodical approach to planning, trenching, missile boring, and more yield successful outcomes every time. Our team has installed electric, phone, TV, and water lines for numerous customers throughout Pennsylvania, Delaware, New Jersey, and New York. We look forward to putting this experience to work for you on your next project. As our customer, your total satisfaction with our excavation services is always our top priority. With our competitive pricing, timely job completion, and strict professionalism, we are confident that you’ll be glad you called us. Our office looks forward to taking your call and getting started on strategizing and implementing the best plan for your particular project. No matter the size of the job, our team will exceed your expectations. Contact us for an estimate on our excavation services. We proudly serve customers in the Chester Springs, Pennsylvania, area.